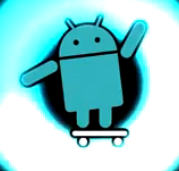 The boot animation from CyanogenMod 7 still ranks somewhere towards the top of my personal list, but this new one, created by the same designer Cameron Behzadpour (73v1n) using Adobe After Effects, is definitely a step-up. It builds on top of his previous effort and is quite possibly the best-looking boot animation I've seen on Android so far. And it's officially coming to CM9. Excellent work, Cameron!